Hi Again! 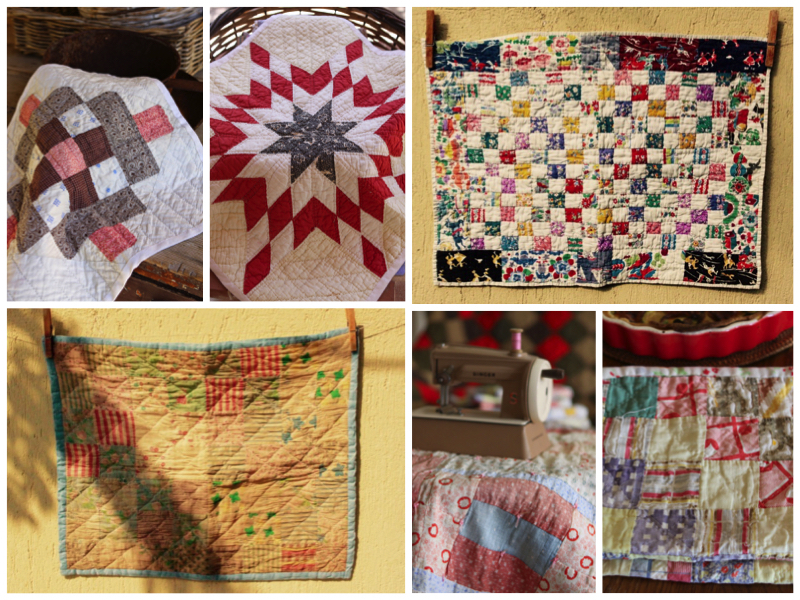 Further to the previous post, I have compiled a selection of 6 antique doll quilts this time. Can't help but love them all! Thank you for sharing! They are all beautiful. I love seeing how different fabrics are put together. You have a wonderful collection of little quilts. Thank you for sharing your collection! They're so sweet and so inspiring. I especially adore the one on the top right, with the pieced border.